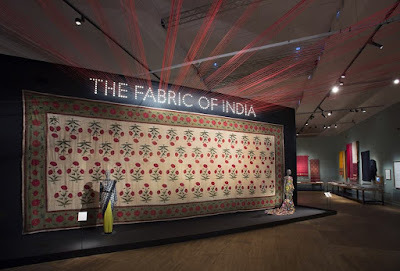 Earlier this month, I visited the Victoria & Albert Museum in London to see their Fabric of India exhibition. This event had been on my radar since the start of the year and I'd been following updates from the exhbition's curator Divia Patel on Twitter and the V&A blog. Whilst general entry to the V&A is free, this is a special exhibition so you need to purchase tickets separately, and it's definitely worth it! 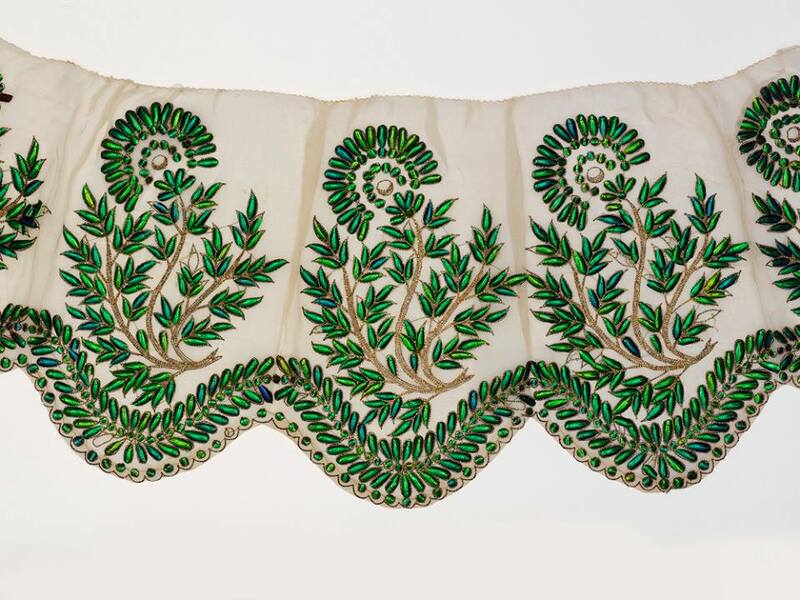 Other key pieces in the exhibition include this Abu Jani Sandeep Khosla mirror work outfit worn by Madhuri Dixit in the film Devdas. The outfit was so heavy that it only ended up being worn in promo shots for the film! Another of the more modern indian outfits on display at the exhibition is this bride and groom's wedding ensemble designed by Sabyasachi, if you think these look good in the photos, I can tell you they look even more amazing in person! 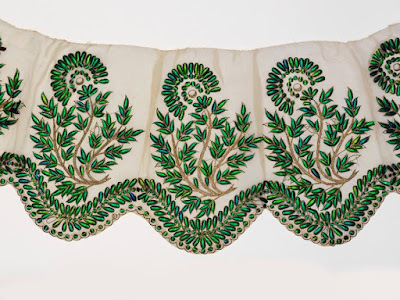 From traditional indian outfits like bridal lenghas and saris, the exhibition also showcases designers who are using traditional techniques in an ultra-modern way, with the most notable example being Manish Arora. 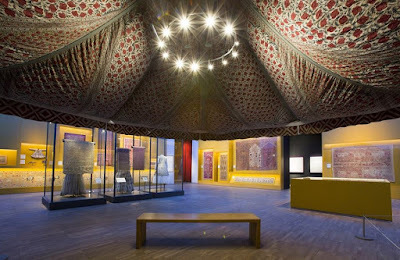 Manish Arora’s Studio from Victoria and Albert Museum on Vimeo. 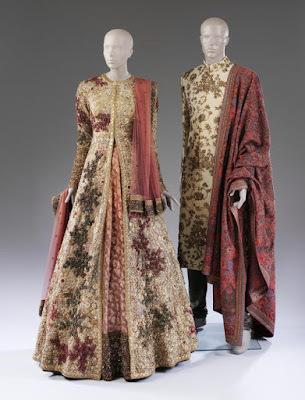 I was lucky enough to get a ticket to a conference all about the Fabric of India exhibition with talks from the curators and guest speakers, including Manish Arora himself! He talked through the inspiration behind some of his collections and how he works with his garment makers to turn his vision into reality. The Fabric of India exhibition is on until 10th January 2016 and is well worth a visit, as is the V&A in general! Find out more info about booking tickets and opening times here.